In search of how to get more landscaping customers? Wondering what are the best ways to get lawn care customers? You’re in luck. I’ve got 4 online marketing methods designed to help you grow your landscaping business. Truth be told, I’ve could’ve stretched this to 10 methods but I’m already at a thousand words for this article and I feel just these lead generation tactics alone should keep you busy :). I’ll save Part 2 of this guide for another day. An oldie but goodie lead gen tactic. 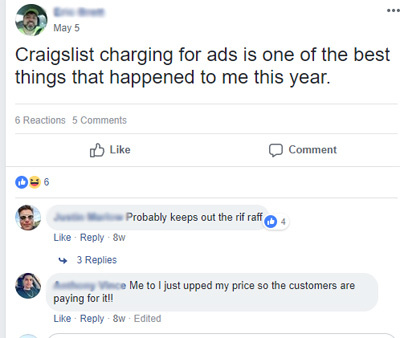 It’s actually even more profitable now because Craigslist recently started charging $5 to post to the classifieds. This has resulted in less spam and clutter. This, in turn, makes it easier for customers to search the classifieds which leads to more inquiries for serious businesses like yourself. I’ve read a few comments on various forums that posting to Farm and Garden category allows you to bypass the $5 but this differs from city to city. But hey, $5 is still pretty damn cheap even if you have to pay for it. Bullet list the services you offer. Remember, people don’t read so much as they scan. 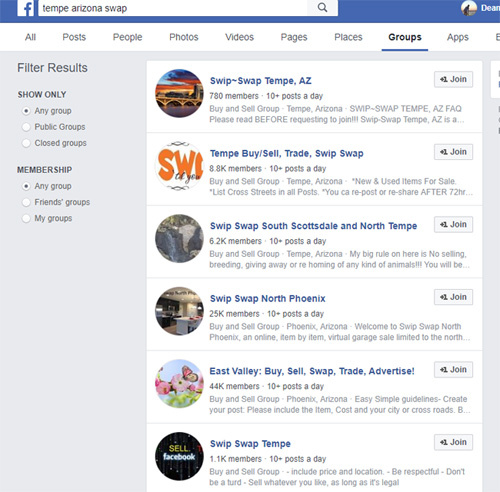 Do a search for your city or subdivision, and you’ll likely find Facebook groups that allow people to post and advertise their services. 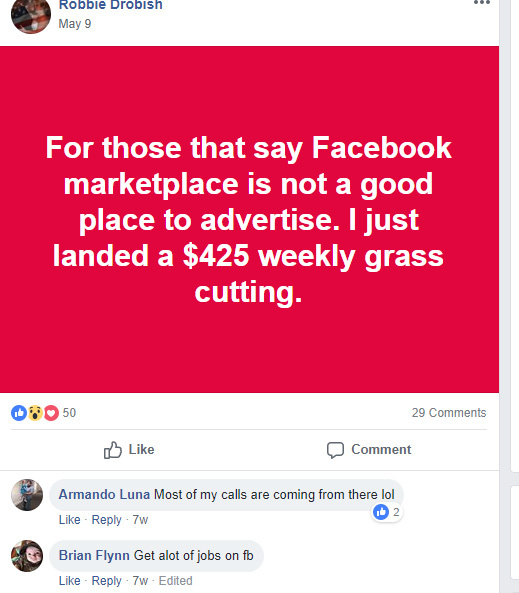 Admittedly, most of these listings are spam, but I know of plenty of landscaping companies who have gotten consistent leads from them. Landscaping companies tend to see higher response rates than other businesses simply because lawn care is a service that homeowners consider to be a necessity. Claim your business profile. This works similar to claiming a Yelp business profile. When people mention your business, you’ll get a notification. This allows you to interject yourself into the conversation of your business and maintain control of your brand while seeing what others have to say about you. 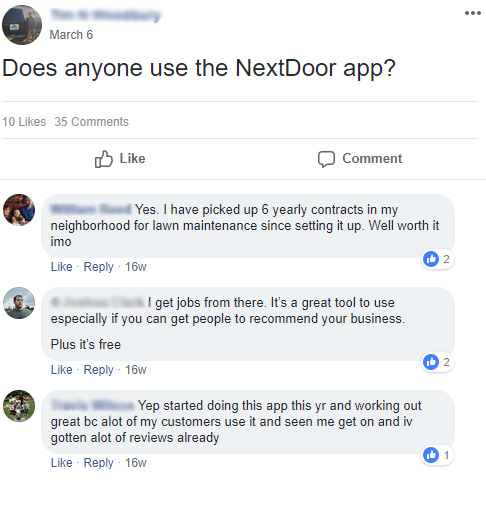 It pays to use Nextdoor to win landscaping customers! After selling a home, the home buyer may need recommendations for a landscaping professional. Or even before the home selling process starts, the homeowner and agent may have decided that they need specific landscaping projects done to improve the curb appeal of the home. I have found that the savvy real estate agents like to have their own “welcome” package that includes the contact information of various home services professionals such as a plumber, home remodelers, and of course landscaping professionals such as yourself. It’s because of these dynamics that make realtors an ideal audience to reach out to. How do you reach out to agents? There are numerous methods of finding local realtors which includes performing a simple localized search on Google or Yelp. Regardless of how you find the agents, you’ll need their email along with an email sales automation tool like Mailshake or Saleshandy. Please note that this is not the same as blatantly bulk spamming people, though I can see why you would see it that way. There are subtle and nuanced differences, and I suggest reading a beginners guide to cold email to educate yourself on the process. When you reach out to agents, you can expect many of them to ignore your initial email. We’re all busy, and it sometimes takes a few emails and a follow-up call to get through. If you don’t like dealing with the hassle of technology and learning a new tactic, then you can do cold calling as well. This is more effective provided you have a thick skin. Either way, networking with agents can be lucrative. Agents know other agents and this leads to a pipeline of referrals. And successful agents sell a lot of properties, so you’re looking at a lot of repeat business. Or if you don’t want to prospect by page, filter by Groups rather than Pages. Look for groups that cater to your city. If you live in a small city, try finding a larger city that is close by or search by county and then by state as a last resort. Think micro before you expand to macro. Join the groups, pay attention to their solicitation or spamming policy. Some groups are laxer than others. This can be time-consuming but worth it given the need can be urgent on behalf of the agent. Browse to the Housing category and click through Properties For Sale. 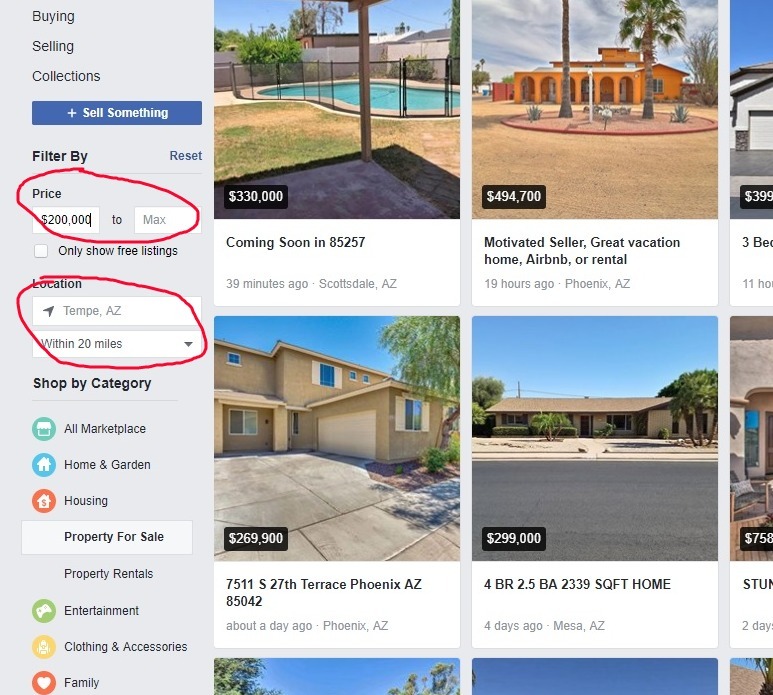 Voila- a list of all properties on sale through Facebook. You have critical information at your fingertips such as price, location, and property size that you can filter by. Click through to view the property and you’ll find that each of them has the listing agent that you can message through on Facebook. Most white collar professionals are on Linkedin. Linkedin has done some of the heavy lifting for you by aggregating your target audience into one place. Now, you just need to develop an approach that will fill up your sales pipeline. Send a connection request. Do not use the default Linkedin invitation template as you will not get a high acceptance rate. Develop your own custom template and include their first name when connecting. I’ve gotten acceptance rates between 40% to 60%. I don’t recommend pitching in the initial connection request because Linkedin only allows 300 characters for the invite. This doesn’t allow for much. Instead, after they have accepted your invite, you can then pitch them a partnership as you would in approach #2. 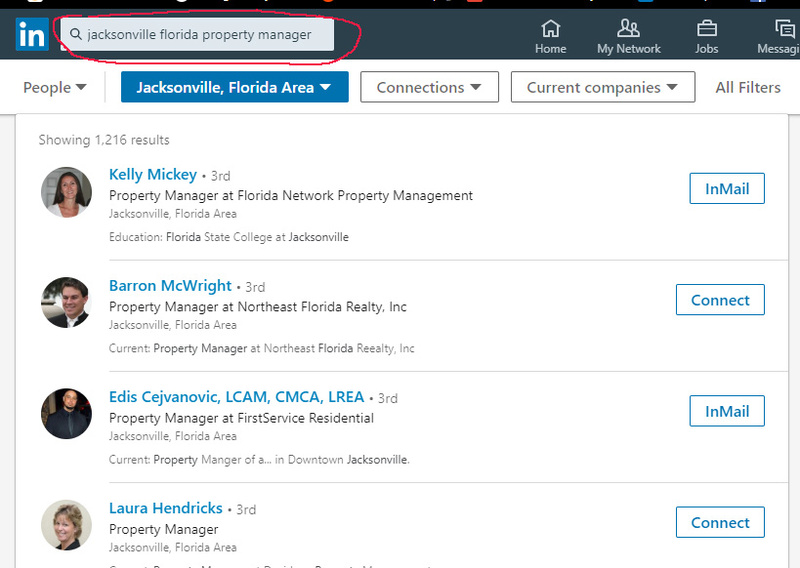 Note that it’s alot easier to search if you pay for Linkedin Sales Navigator which has more robust search options. For example, with LISN, you can search for people within specific cities rather than defaulting to a region such as “Washington, DC area”. If you run a landscaping company with a large coverage area, then this may not matter. If, however, your coverage area is for a few cities or, say, under 10 miles, then LISN can really help with the filtering. 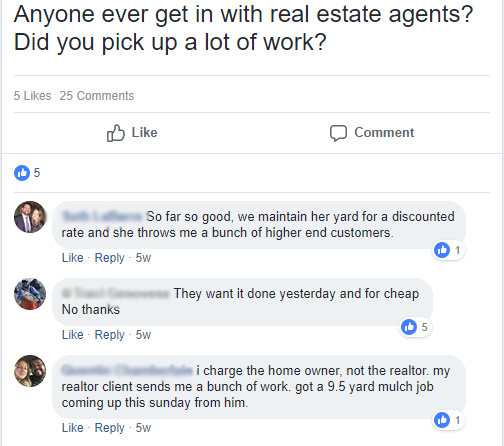 It’s $65/month but you make your money back with one client. I believe they also offer a free 30 day trial. So there you have it. The first three are relatively easy to implement and can fill your pipeline with new business. And the 4th method can be time-consuming but lucrative. Still not satisfied? Prefer marketing tactics that don’t take up your precious time as you prefer to run operations? Contact me about how a strong Google Adwords or Facebook ads campaign can skyrocket your landscaping business. Owner and Google and Facebook Ads strategist for Sachi Studio. Currently accepting new clients. Contact me on how to improve your lead generation strategy. Google Ads vs Facebook Ads. Which Is Better For Your Business? Online Course Provider Increased Sales by 59% With a 448% ROI. Comparison of HomeAdvisor vs Angie’s List vs Thumbtack vs Porch. Yelp Advertising Review: Is It Worth Advertising on Yelp? © 2019 Rockville, MD Adwords and Facebook Consultant. All Rights Reserved.